Home News Fan of the Week is back ! We’re back by popular demand! In our recent survey on www.gargoylesreawakening.com, we received numerous requests to revive Fan of the Week as a way to celebrate the individuals who make up our fandom. Well, you asked and we listened. Starting this month, Fan of the Week lives again!! 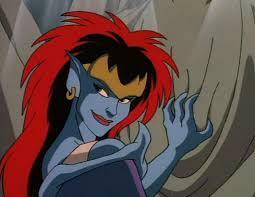 In the tradition of keeping the Gargoyles fandom alive, we bring to you the Gargoyles Fan of the Week. During this week, we will feature a fan whose artwork, fanfiction, merchandise collections, or anything else that demonstrates their love of all things Gargoyles!